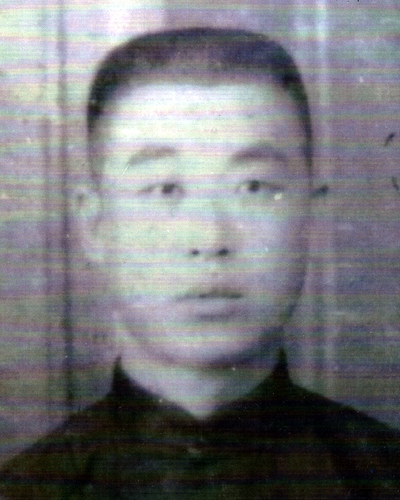 Yang, Kui-Shan was of the 11th generation of Wudang Dan Pai. He was the headmaster of the branch of Wudang Dan Pai which focuses on the techniques of Wudang Free-Step Taijiquan and Wudang Continuous-Stepping Sword. Grandmaster Yang was an extremely talented martial artist who was well-versed in many styles of martial arts. When Grandmaster Yang, Kui-Shan was very young, he began practicing the Da Hong Men style of martial arts. When the great master Li, Jing-lin was stationed in Tianjin, Grandmaster Yang tried out for a position in his military and won the top place. Li, Jing-lin was so impressed by the performance of Grandmaster Yang that he later took him as one of his first disciples. During his tutelage, Grandmaster Yang learned Wudang Free-Step Taiji, Wudang Sword, and Taiji Push Hands. Because of Grandmaster Yang’s ability in martial arts and his close relationship with his master, he became Li, Jing-lin’s personal bodyguard and attendant. Grandmaster Yang was able to train with many high-level masters during his formative years. He learned Shang Style Xingyiquan from Shang, Yun-Xiang, Hebei Xingyiquan from Sun, Lu-Tang, and Bajiquan and Spear from Li, Shu-Wen. Throughout his career, Grandmaster Yang had more than five masters in martial arts. After Li, Jing-lin died, Grandmaster Yang served under General Zhang Zuo-Lin. Later, during the war with Japan, Grandmaster Yang was transferred to Da Dao Dui (Big Broadsword Squad) where he gained the rank of Captain and served on the front lines. This was a very difficult assignment, since the casualty rate was extremely high. Soldiers in this unit were assigned large two-handed broadswords and were sent to confront the Japanese in both straight confrontations and guerilla warfare situations. Even though their weaponry was very much behind that of the Japanese soldiers, the squad was still lethally effective in combat. The squad’s courage and willingness to fight bewildered the Japanese troops, and their effectiveness in combat led the Japanese to develop special collars with steel mesh wires inlaid to protect their necks from attack. After the war, Grandmaster Yang, Kui-Shan moved south to the small town of Changzhou, located near Shanghai. It was here that he spent the rest of his life teaching disciples and students. Since Grandmaster Yang had learned so many techniques and systems during his apprenticeship, it was very difficult for any single student to learn everything he knew. Because of this, his disciples broke up the curriculum and each specialized in a particular technique. His disciple Wu, Zhi-Chuan was best at sword techniques, while Qian, Timing became best at Taijiquan and Taiji long staff, and the techniques of Bajiquan and Spear were passed to Sha, Ming-Xi. Grandmaster Yang, Kui-Shan was well-known throughout China as a top martial artist.